Liam Neary Construction is fully licensed and insured and has over 25 years of experience in the carpentry and building field and has been serving the Greater Boston area for over 15 years. William Neary, owner of Liam Neary Construction, began his career building and remodeling Irish pubs across the United States from Boston to San Diego. He also did custom work such as furniture making and cabinetry. 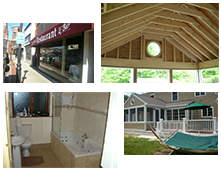 Liam Neary Construction has expanded to home building, home additions, home renovations and all types of construction services for both residential and commercial project needs. 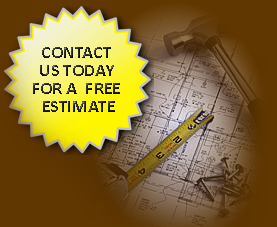 Liam Neary Construction provides you with quality craftsmanship and strong customer support. We work closely with you throughout the building process to ensure that the project is completed to your full satisfaction….Your vision is our vision. I contacted Lowell Overhead Doors at your recommendation and they installed a new remote controlled steel overhead door. The installer praised your garage door molding work and was impressed with the application of cement on the floor at the garage entrance. The improved floor level and new molding provided easy installation and an excellent fit for the new door. During the heavy rain spell over the past weeks no water has entered the garage, a first in some time. We were tremendously pleased with the work Liam Neary Construction did on one of our homes. Even the inspector was impressed with how well the structural repairs were done. We are planning on using them in the next couple of months for another major renovation. We are very happy with the job Liam Neary Construction did adding a sun room to our home. They were here every day and the entire project took them just two weeks to complete.